Ooh. Confession: I love sweet at breakfast but won’t feel too guilty with this winner. 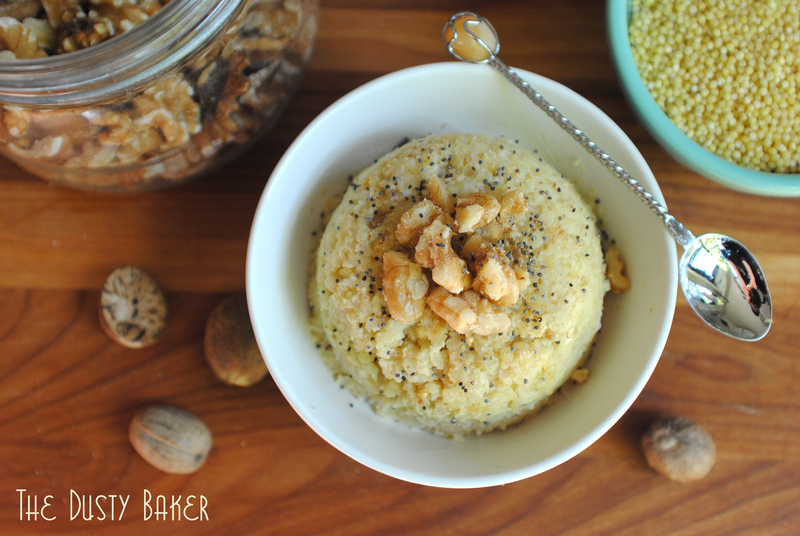 Love your idea of millet – easier to digest than oats? As an oats’ fan, you’ve sold me. As for that coconut rice pudding – can’t wait to see that one, too. Fabulous! Thank you so much for sharing! i love love lovvveeeee your breakfast idea and cant wait to try it myself! This certainly looks like a great way to kick-start the morning! Hope you have a great week and that your project is coming along well. What a great idea! I love millet and never really have the chance to use it in anything I think is delicious. Great recipe swap- I’m looking forward to seeing more of your remakes! I love millet, but it always seems to be a grain that I forget about. This looks so good, I looove sweets for breakfast! This looks completely yummy. Can’t wait to try it out! Clever girl! Ah, a girl after my own heart – my mind tends to drift towards breakfast too. I really love that you swapped out the ingredient most of us concentrated on – the cabbage. I love pudding-y grains for breakfast and always enjoy an alternative to oats. Millet is wonderful (I’ve been using the flour lately) and I’d love to try your breakfast version! Mmm millet. I’ve never had it as a pudding. Consider me intrigued. Love it. would never have thought to go sweet on this swap -what a great recipe! what a tasty breakfast pudding! I would love that instead of my oatmeal! I would have never thought of using millet that way, great job! I love that you somehow managed to turn hot slaw into a delightful breakfast pudding. Its quite the transformation! gorgeous photos, gorgeous recipe. Such a good take on the recipe! This is the miracle transformation of all…maybe a big stretch of the imagination but isn’t that what’s fun about it? Doing that stretch? Looks great…I’ve not tried millet. Maybe it’s time! This was definitely the biggest stretch I’ve made with these swaps but as someone who can’t eat dairy I’m always looking for a way to practice my alternative custards, so this was perfect! I’m not a big sweet breakfast eater either, but I do eat my share of oatmeal. 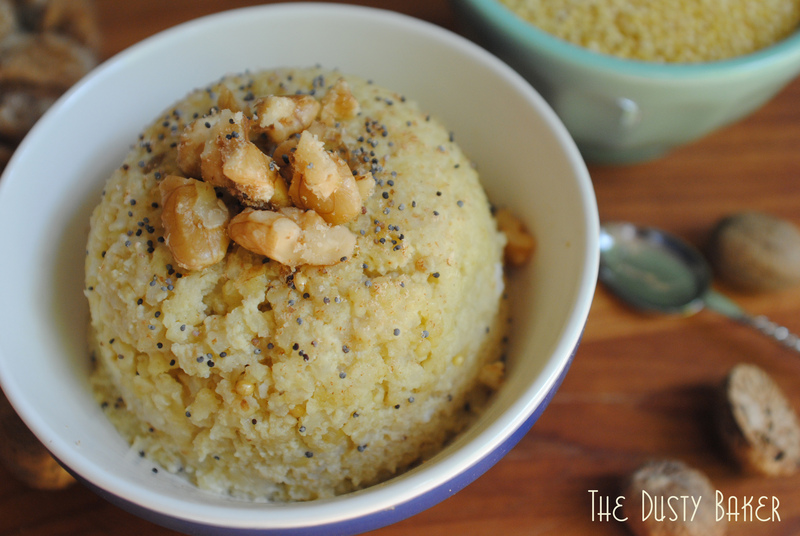 Love the idea of the custardy millet – can’t wait to try it out. Nice swap. Great variation of the dish! Wow millet and coconut in a pudding…sounds so hearty and good! Thank you for the reminder of how good millet is! Ohhh…this looks divine! I have been coconut crazy lately and now I can have it for breakfast to? Awesome!